Project 21 member Lawrence Bill Jones III is currently pursuing a double-major in political science and criminal justice (a pre-law curriculum) at the University of North Texas. He has a long and distinguished record of political and community activism in and around his home of Garland, Texas. Jones currently serves as a community representative on the Garland Parks and Recreation Board. Previously, he served as a board member for the Dallas County Child Protective Service and also worked for the Dallas County Juvenile Court. 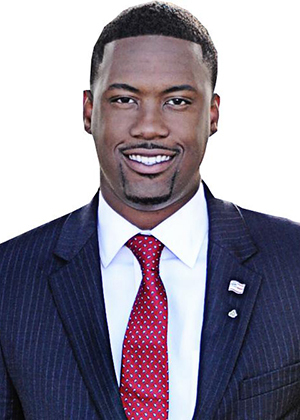 In 2008, Jones was elected to the position of “youth mayor” of Garland. He was later appointed to be a junior senator in the state legislature by Texas Governor Rick Perry. During this time, Jones also served as a student-advocate for the Garland Independent School District. Jones is currently a pastor of college ministry at the Antioch Christian Fellowship. He formerly served as a youth minister at the New Life Fellowship Church. In 2013, Jones helped the investigative journalism group Project Veritas expose alleged IRS violations by liberal groups in Texas involved in helping enroll people in ObamaCare. His undercover work with Project Veritas found apparent political action committee work being coordinated alongside work that was meant to be explicitly nonpartisan.